What a weekend! Sorry I’m a little late posting this. I think we’ll need 2 posts to cover the weekend! 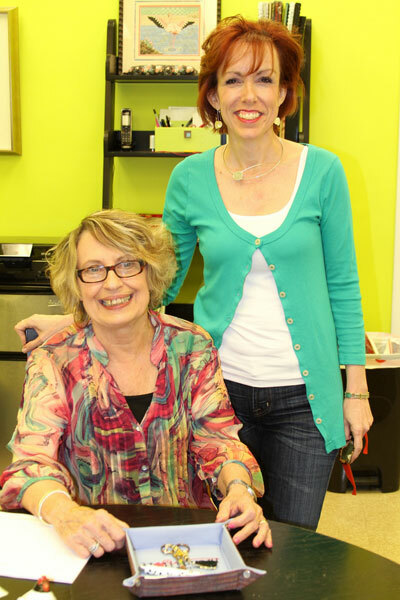 We always have a great time when Brenda Hart comes to town. She tells us which stitches to use where on our canvases and that’s just the beginning of the fun! This past weekend when Brenda was here I had a little surprise for her! 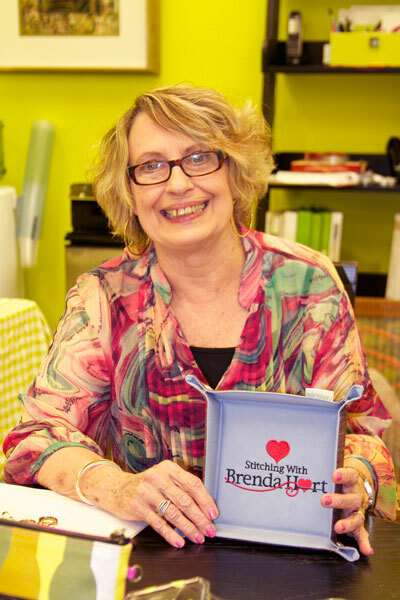 A specially designed snap tray for Brenda and her disciples! Now everytime she looks at her snap tray she’ll know how much we love her! 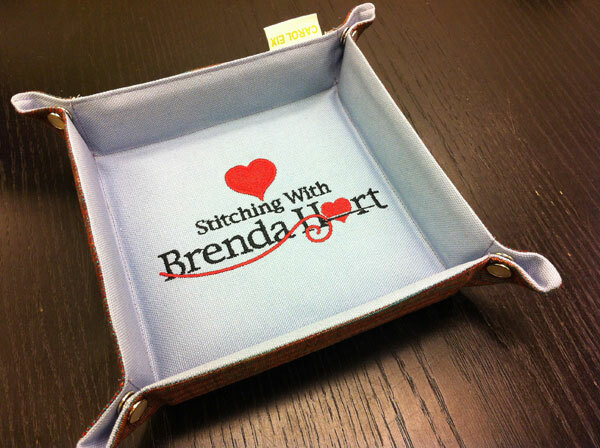 If you’d like your own ❤ Stitching with Brenda Hart snap tray, give us a call and we’ll send it right out. Occasionally students will stop by with finished or almost finished projects to show Brenda. That’s always a treat! 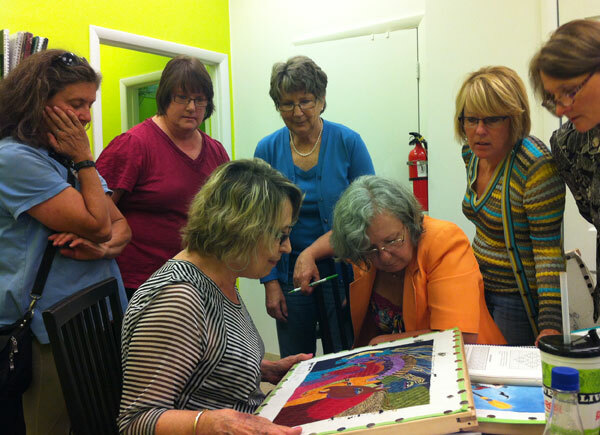 You can tell everyone wants to see all the beautiful details of this Laurel Burch canvas that Ellen is stitching! 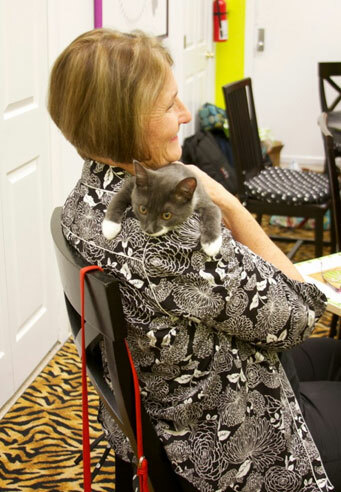 One of our regulars, Linda, brought Graffiti to class on Friday. She is the best dog ever, patient and loving. She’s a trained therapy dog so very calm. She adds to the zen of stitching! Graffiti wasn’t the only visitor this weekend. 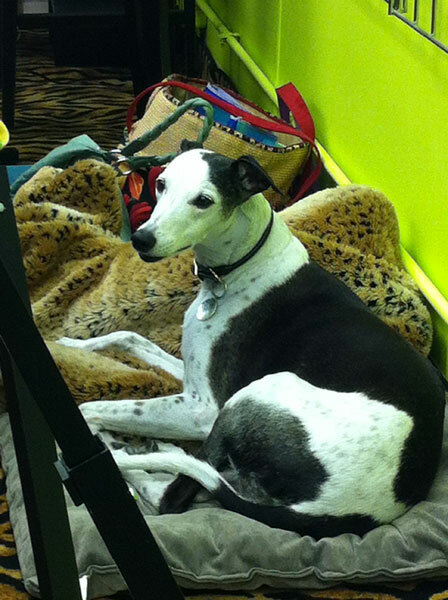 Saturday, Maestro came to class. 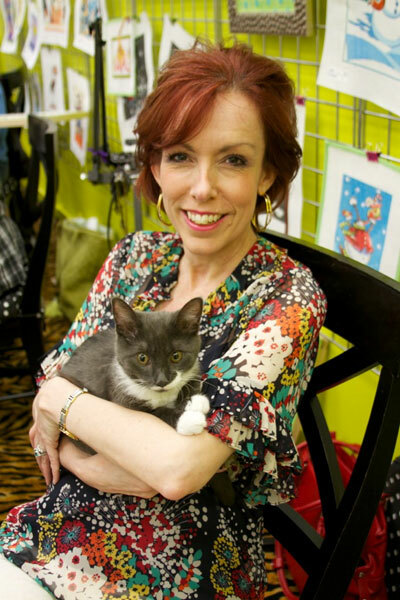 If you read Sheena’s Sweet Stitches blog you may recognize this little guy as the kitten that Sheena found and rescued as a mere babe in her driveway! 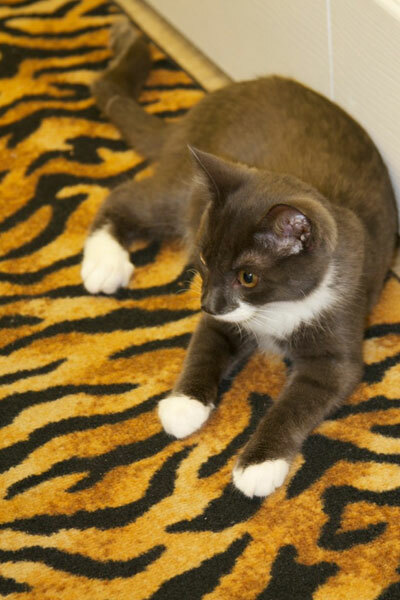 He is now 4.5 months old and a delight. I love my boys, but they wouldn’t put up with a day in class for all the tuna in the kingdom. 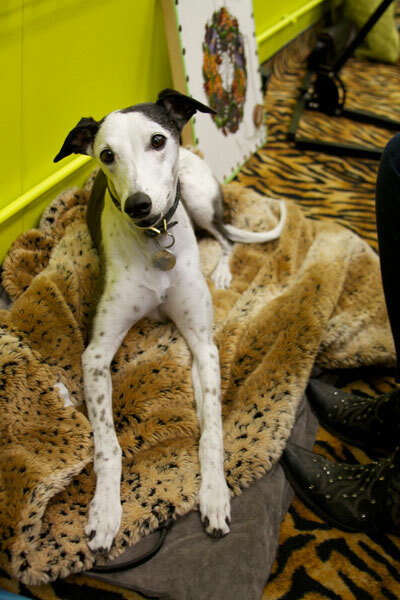 Maestro hung out quietly when he was being picked up and loved by each of us. I am happy to report that he has accepted me as his God Mom. At least I think he’s okay with the idea if needed. 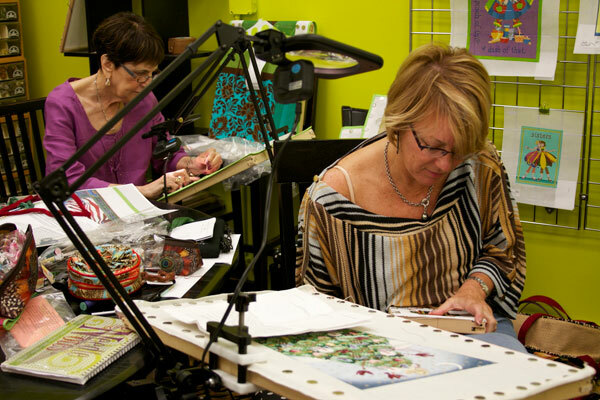 Once our guru got us down to business everyone started happily stitching their canvases. More on that tomorrow.